Why Do Bullys Bully? Could They Simply Want Love, Attention, Power? When your child comes home from school in tears because another child was mean to her, the first thing you probably feel is anger and a need for retaliation to make the bullying stop. After reflection, a call to the school or a teacher might be a better option. Wouldn’t it be great if you could determine the reason why a bully is a bully? Would you have a better chance of stopping the behavior? 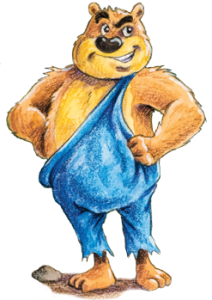 In our Lima Bear story, Bully Bean, the character Bully Bean, that Mean ‘ole Bean, finds himself in trouble and need of help. 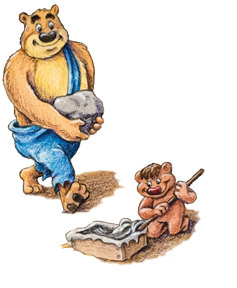 We do not know Bully Bean’s backstory or why he feels the need to bully, but Lima Bear’s kindness to him when he is in mortal danger turns Bully Bean around. Kindness was shown to Bully Bean and he no longer was a bully but a helper. The reasons why a bully is a bully are unclear but we have a few ideas of the causes. A Webmd.com article entitled, What Motivates Kids Who Are Bullies , that cites a Netherland’s 2010 study, suggests that bullies have fine social skills and high esteem but wish to please the popular kids in school by belittling those they deem undesirable. In other words, bullies are looking for attention and to be noticed. It might seem confusing a first glance to learn that all bullies are not always the social outcast, low self-esteem kids we once though they were. Maybe it is not so confusing after all. Maybe we simply need to ask a new question. Specifically, what does the outcast and the popular kids have in common that make them feel the need to pick on another kid? The answer most probably includes a lack of attention (at home or school) or lack of love and probably a need for power at any cost. Most likely, too, is an undeniable lack of conscience or ability to discern right from wrong. What is very interesting is that the most successful bully prevention interventions, according to the Netherlands study cited above, in affecting a bully’s behavior are the programs that help bullies deal with their anger. Also, the programs that are directed to the classroom as a whole instead of focused on the bully or the victim specifically were found to be the best behavior changers. When the reason of bully’s brutish behavior is exposed through such programs, he can recognize it, cope and change the behavior. LifeScience.com reveals that bullies do want to change their behavior. Those interviewed revealed they had a low opinion of themselves. In Bully Bean, Bully Bean’s behavior was changed when his perception changed because he was showed kindness. Perhaps all bullies have a desire to change their behavior if only to improve their own view of themselves. What has been your experience with bullies. Do you think they bully because the lack self-esteem or love?